Chrismas is close and even Atreia is filled with the charm of upcoming holidays! Strange alchemists, idle Shugo Couriers and rogue Grankers – there’s loads going on in Atreia, just in time for the Solorius Festival! [Aion EU] Veteran Reward being extended to 40 level! All Western Aion players (both EU and NA) are familiar with Veteran Rewards NCSoft introduced to reward theirs subscribers – for each subscribed month players got Veteran Reward. Since Aion EU got new publisher GameForge and went Free-to-Play, EU players still were able to get Veteran Reward via using Goldpacks up to 28 level (which basically were NCSoft’s 28th month VR). Unfortunately players who already got 28th Veteran Rewards with NCSoft, got maxed with Gameforge system as well. 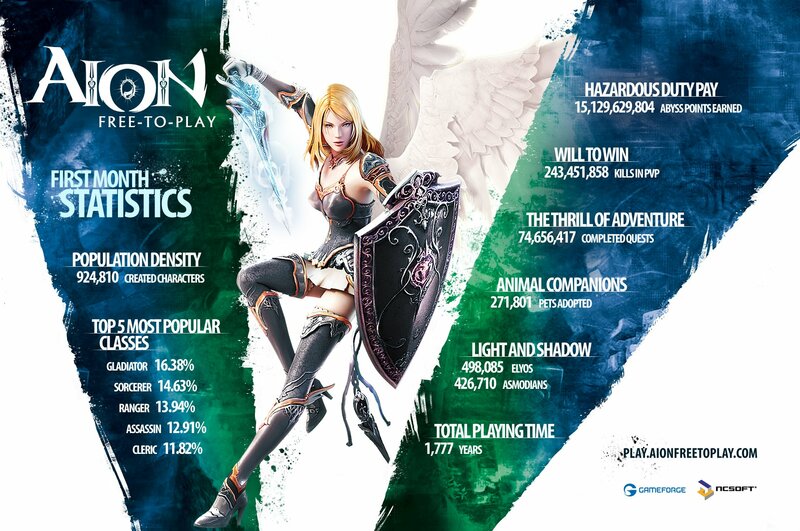 [Aion EU F2P] Statistics after first month! One month has passed since Aion had became F2P in Europe and Gameforge (its newer publisher) has published official statistics. It seems that so far Aion EU grown with 750,000 new accounts and further 20,000 accounts are created everyday! Also amount of players actively logging into game has increased fivefold! Since F2P start nearly one million characters were created, game was played for 1780 years (!) and 243 millions of PvP kills were recorded! Indeed these numbers are stunning! (Click on image to see additional info). We wish Aion EU continuous growth! 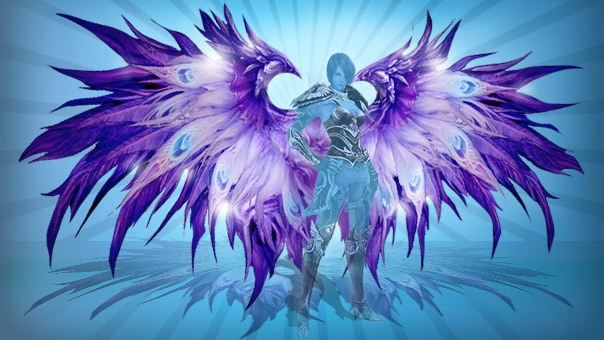 Source: Atreia growing at record speed on Aion EU Free-to-Play official page.